A north-east road was blocked this morning after a crash between a car and a van. Two men were taken to hospital following a the collision. 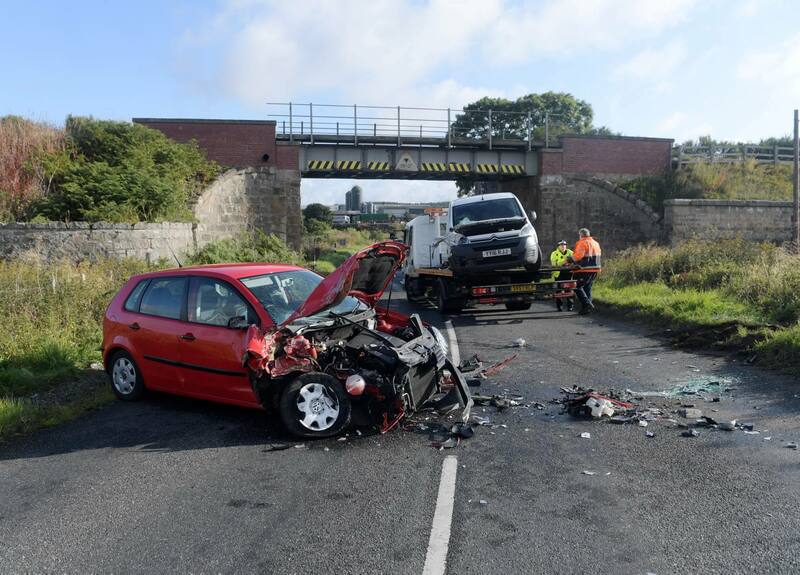 The incident, involving a car and a van, happened at 7.40am under the railway bridge at the junction with the A96 and B9002, the Oyne Fork. Emergency services were called to the scene shortly before 8am. Both the van and car were severely damaged, with car parts and glass littered across the road in the aftermath of the crash. Once at the scene, firefighters worked to free a male driver from the red car, which has been written off. A fire spokeswoman said: “We had two appliances there with eight crew members. The fire unit used cutting gear to safely extract the man before he was sent to Aberdeen Royal Infirmary as a precaution. 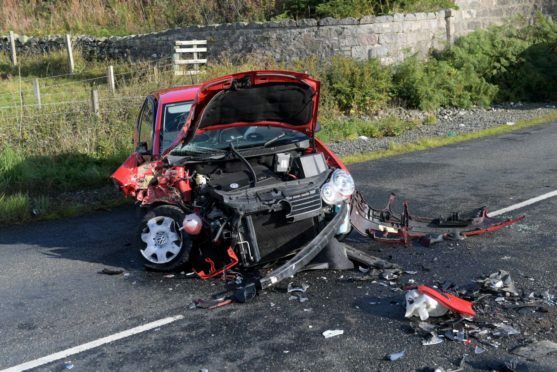 The section of the road was closed while glass and car parts were removed from the road and a recovery vehicle arrived to take the car and van away. There has been no structural damage to the bridge as a result of the crash.